Write Tip: Five Tips for Writing Sequels. My goal for 2015 has been to re-launch the Alliance series, and I wanted to discuss what I’ve learned while writing for a series. Some of this information will be a repeat of topics previous discussed, but hopefully will be helpful to writers starting a series. Tip one: Document details to keep track of your continuity. This should be your mentality from day one of book one. I actually make a pretty good effort to keep documents for each WIP to record important facts, date and time sensitive information, and character bios. There are unfortunate occasions where I get caught up in the flow of writing and forget to record something, but I usually keep that Word document open and ready. This also means you need to keep editing your information during the revision process. If you change your character’s eye color in a later draft, you’re going to make more work for yourself if you forget to document that change. By the time you begin the next book in the series, you should have a great source of information to prevent you from having to constantly scan an entire manuscript for little details. I like to have my info documents opened and ready before I even begin writing a sequel. If you make a set of rules in your first novel, those rules need to stay consistent in the sequels. Why? Your readers will remember the rules. If you set a rule of magic or law in book one, but then that rule is not kept in book two, your readers will remember and question you. They will lose belief in your story—in the world that you took so long to create. Tip two: Consider character continuity. You want your character to further develop over the length of the series. The character in the final book can’t be exactly the same as he/she was in book one. Over the course of the series, your character has most likely faced death, experienced loss, or perhaps gained courage on grand adventures. You need to determine how the events of previous books have made an impact on your character while still keeping some resemblance of the original character. If you’re uncertain how your characters might react to certain situations, go back to the basics and get to know your character. Last week, I discussed a game of 21 Questions to get to know your characters. This might help you get into the minds of each individual character. Ask lots of questions. Learn their fears and personalities. Tip three: Plan before you write. I know, I know, not everyone is a planner and some call themselves ‘Pantsers’ as they basically just fly by the seat of their pants. I’m in the middle somewhere. I like to plan a basic idea and outline, but let the story flow and change on its own. Why do I think at least basic planning is important? Because each book in a series needs to have its own story arch, yet all stories need to fit into the continuity of the series. When I get a new idea and consider as a series, I ask myself basic questions to determine where the story would go. I do this basic outlining process for all of my novels and comic book series. For the Alliance series, I always had an end game in mind. I knew what kind of story I wanted to tell and where I wanted the series to end. So with each book planned, I had to determine what the individual plot would be and how that individual book pushed the characters and overall story towards the final destination. Tip four: Balancing standalone and sequential. This is the part I’m still learning to balance. Have you ever read a book out of order? On more than one occasion, I’ve purchased and read a book out of order, but was still able to fall in love with the series. The books offered me balance of past information and a strong stand-alone story. In Drakon, the upcoming sequel to The Alliance: Bloodlines, I had to decide what information was necessary for new readers, but without repeating so much information that I bored readers familiar with Bloodlines. I would recommend using beta readers who are familiar with the series and new readers who aren’t familiar at all. Tip five: Take cover design into consideration. Plan for cohesion and your genre. I had a rough draft for Drakon before I ever published The Alliance: Bloodlines, but never once considered cohesion for the cover art. Think of every series you’ve ever read. Chances are good that all of the covers have similarities that tie the series together. Maybe the series always has a character on the cover, a color theme or a specific font. Visit a book store or online store like Amazon and sift through the covers in your genre. 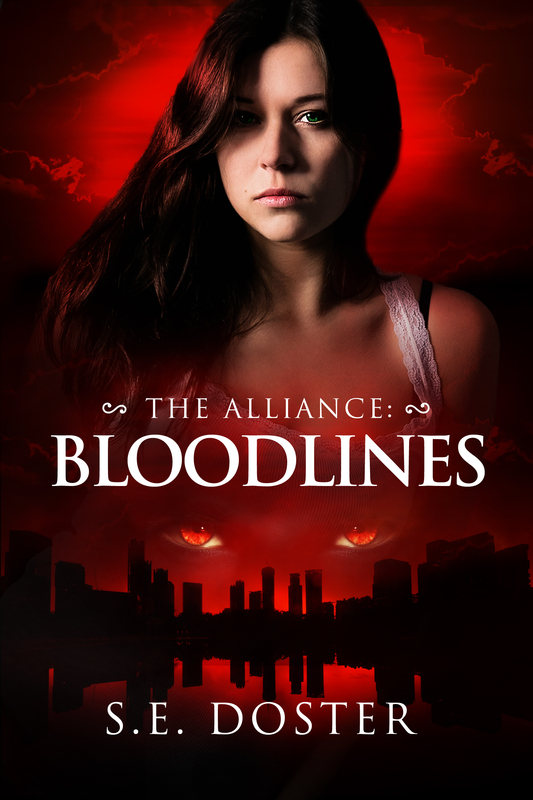 The Alliance: Bloodlines has great reviews, but very low sales because bloody playing cards aren’t enticing the YA readers. It’s more costly to backtrack and re-launch your series, so take these factors into consideration before you purchase book designs and publish. I’m currently in the process of saving for new cover art to re-brand the series and make cohesion for the upcoming sequel. Everything read here is being considered when re-branding The Alliance series. I hope to do a re-launch later this year to give Bloodlines a better chance of getting in the hands of new readers. What struggles have you faced when writing a series? What other advice would you share?